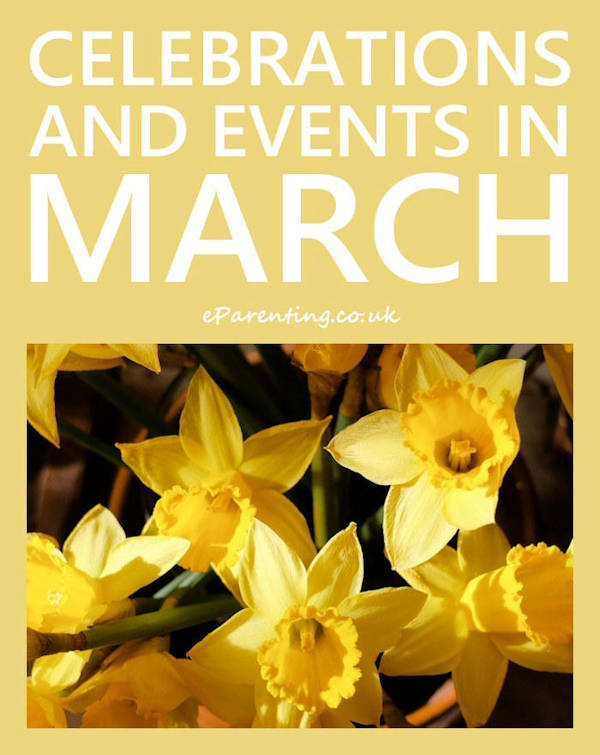 Paw Patrol is the popular TV series for toddlers which is shown on Nickelodion and Channel 5's Milkshake! segment. Filled with the cutest pups, the series is THE hottest kids show on TV at the moment so much that a live stage show has been developed which will reach the UK in September 2017. 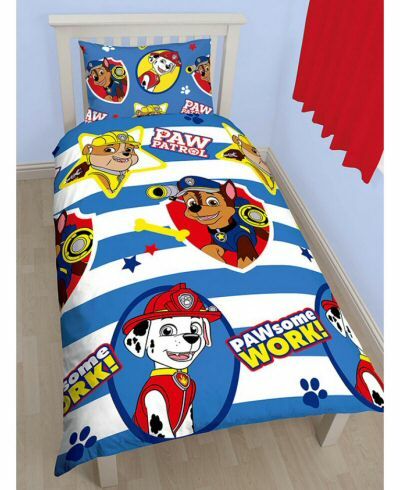 The official PAW Patrol website is pawpatrol.com. 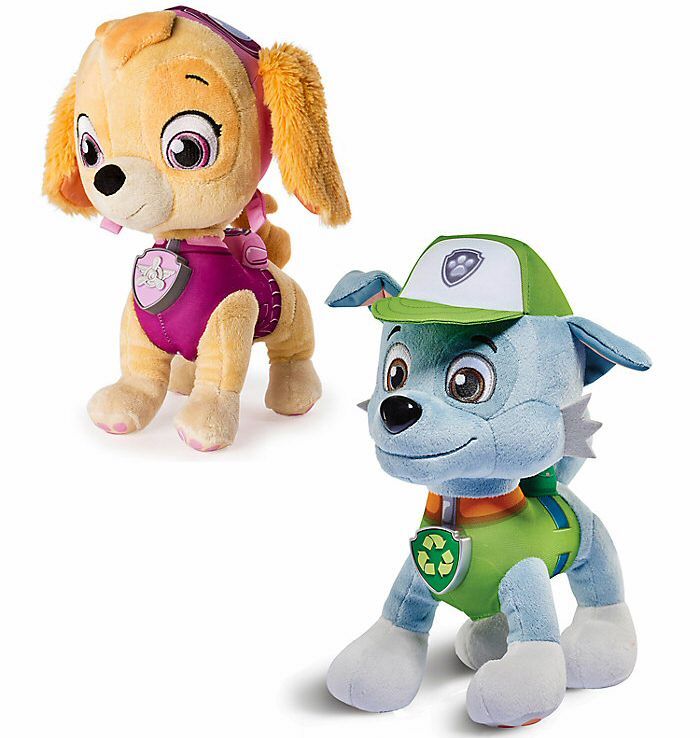 There are lots of super cute toys for little PAW Patrol fans - here are some of the most adorable. 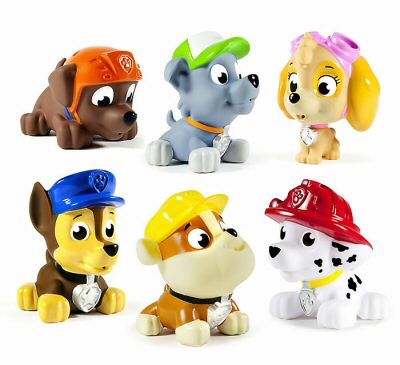 Paw Patrol Chase Snuggle Pup has a light-up belly that acts as a nightlight. Give him a squeeze and he will sing you to sleep with sweet lullabies and Paw Patrol phrases. 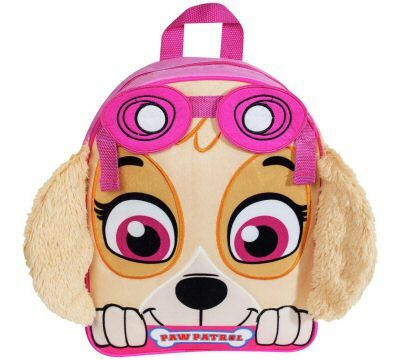 The PAW Patrol Skye Bag is ideal for your little one who loves their favourite character, Skye. It even includes her goggles and her big, floppy ears on the side. 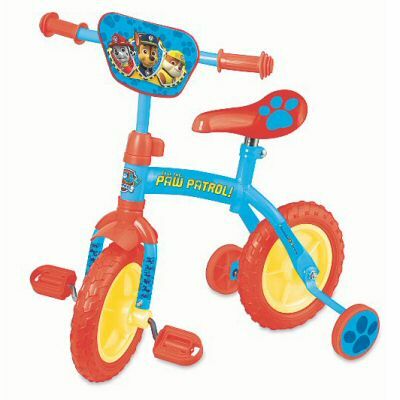 The Paw Patrol 2 in 1 10" training bike is a super bike for a first time cyclist, and the stabalisers can be easily removed when the time comes to go it alone! 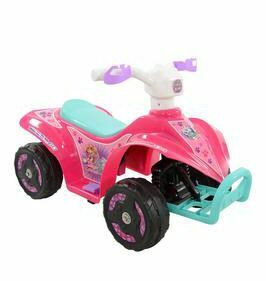 Paw Patrol 6v Operated Mini Quad is great for outdoor fun! 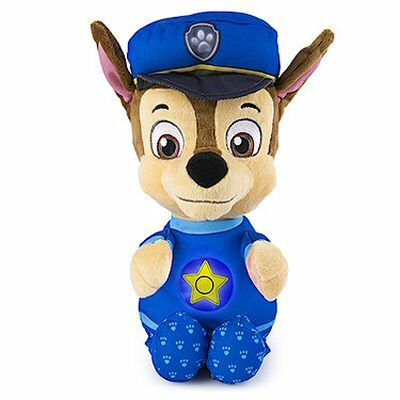 PAW Patrol Real Talking Plush - Choose your favourite pup, Marshall, Skye, Everest, Rocky, Rubble, Zuma, Chase or Tracker. 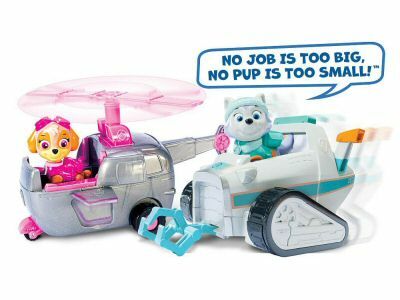 Clear the snow with Everest’s snow plough then fly the kitties back to safety with Skye’s helicopter with the Animal Rescue Skye and Everest Playset. 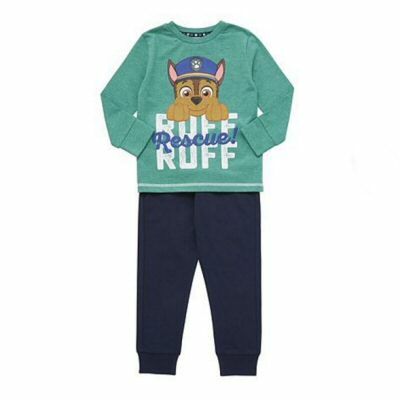 Paw Patrol Chase Print Pyjamas - jersey pyjamas printed with a motif of Chase the Police pup. 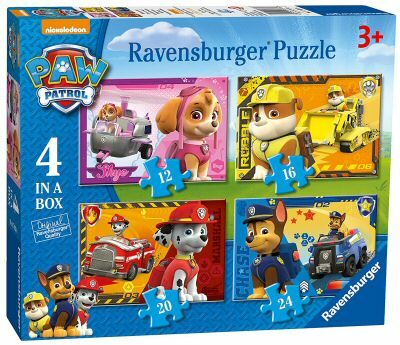 Paw Patrol 4 in a Box Jigsaw Puzzles has puzzles with 12, 16, 20 and 24 pieces of Skye, Chase, Rubble and Marshall.